Fun Fact! The hardcover limited edition of A Bad Day For Voodoo has an extra chapter that spoofs the mash-up novel craze: Wuthering Heights (With A Cow In It). 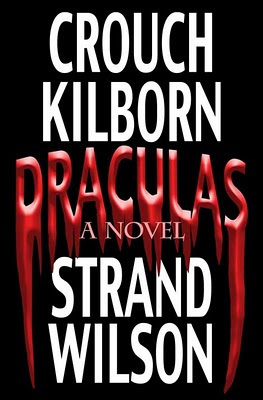 It was cut from the paperback/digital edition because, even by the standards of that book, it was too silly. Ultimate Supernatural Horror Box Set! What if I said you could get the Kindle edition of Wolf Hunt for only 99 cents? But wait! What if, for that very same 99 cents, you could also get Virgin by F. Paul Wilson? And what if we added Haunted House by Jack Kilborn & JA Konrath to the deal? And, just for argument’s sake, let’s say we also included Eerie by Blake & Jordan Crouch. 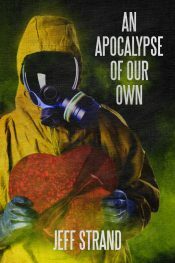 And, hypothetically, what if you also got Speed Dating With The Dead by Scott Nicholson? And what if there was a sixth novel, The Final Winter, by Iain Rob Wright? Well…it’s all true. 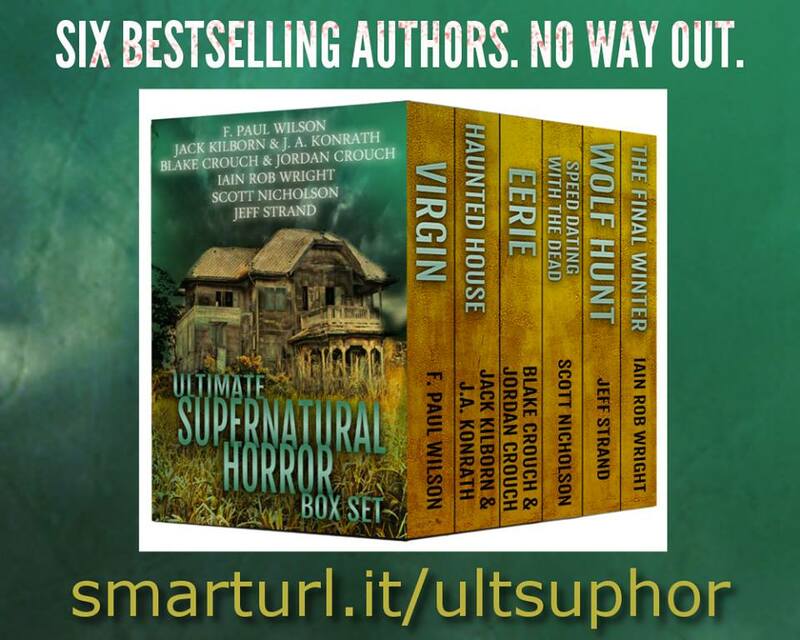 You can get the six-novel Ultimate Supernatural Horror Box Set for a mere 99 cents! If I said “Hey, can I touch your ear for 99 cents?” you’d say no, and yet that’s all it costs to get SIX books! That’s only 16.5 cents per book! This is for a limited time only, so CLICK THIS PARTICULAR LINK immediately. Publishers Weekly on I HAVE A BAD FEELING ABOUT THIS! Publishers Weekly has reviewed my upcoming young adult novel I Have A Bad Feeling About This, and because I’m posting about it instead of pretending it doesn’t exist, you’ve probably guessed that they liked it! Another Exciting Guest Blog Rerun From 2012! 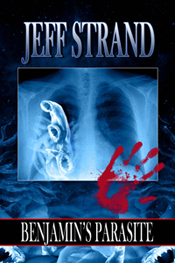 Continuing my series where I post guest blogs I did in 2012 to promote A Bad Day For Voodoo. In the days before everybody made fun of Miley Cyrus, they used to make fun of Snooki. This one also has a cutting edge reference to the Mayans. A: Well, I wouldn’t say that. I guess it’s up to the reader to decide. 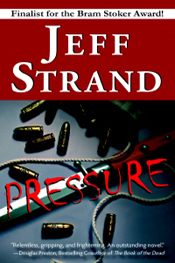 A: The book isn’t…I mean, there’s some violence…but it’s funny violence. In what I believe is a first for the blogosphere, I am writing this blog while on fire. I don’t mean that I’m wearing a pair of gloves and one little pinky has a tiny flame on it or something weak like that. I mean that I am literally writing this blog while engulfed in flames, screaming and running around the room, getting soot all over my iPad screen. Sure, I could jump into the shower, but then this would just be a blog by somebody who was recently on fire, and that’s not all that impressive. No, even though it hurts pretty darn bad, I am going to remain alight until I finish this blog. That’s how important it is to me that you get cutting-edge content. Why has our world become so cynical? Do you really think that I’m so desperate to attract attention to my upcoming young adult novel that I would lie about writing a blog post while on fire? I’m doing this for you. I downplayed the damage to my iPad earlier so that you wouldn’t feel guilty, but it’s melting all over the place and I’ll probably have to buy a new one. Some of you may be wondering why I don’t post pictures to prove it. I’ll tell you why: because I’m on fire and don’t really have time right now to take pictures of myself just to address your doubts! C’mon, if somebody said “Hey, I drove my car through a guardrail and now I’m teetering over the edge of a cliff and am seconds away from plummeting six hundred feet onto rocks, explosives, and quicksand!” would you ask them to take a picture to prove it? Of course not. That would be rude. All I ask is for the same consideration. Anyway, I’m seeing a lot of visible bone on my arm now, so it’s probably time to wrap this up. Thank you for allowing me to make Internet history!